They have to get to a point where they’re in that state, but we also have to come to an agreement ahead of time. It’s really hard for performers to make good improvisational choices around timing and space because of the sensory deprivation involved in most of the second half of the work – they’re not able to perceive everything going on around them. Some are stuck inside the mass of others’ bodies, with somebody else’s full weight is on them – they can’t move quickly. Some of the performers literally can’t see: they’re under a blanket, or they’re in the fog [laughs]. Some are under a tree. There’s something limiting their ability to perceive the space around them. So, the work’s structure did eventually form itself, but it was a long time coming. I want to back up a little bit. In our history of making site-based work, it’s been hard for us not to go into the theater and use that theater as the site – that is, we’re always tempted to really play with everything that’s in the space itself. But Super Nature started with an installation piece in the gallery, with research: it began in this incredibly intimate space, as if with one audience member. After that, we needed to go into the McGuire, so the question was: How can we translate that intimacy, that level of move-or-be-moved-by-whomever-else-is-in-the-room immediacy? How can we bring it into the theater? How can we super-actively work this space to affect and be affected, as performers, and also to affect our audiences? To allow ourselves to be seen on every side of our body, but also to really create transformation in how people are watching us. Those were the questions that informed many of the structural and choreographic choices of the work, too. What I mentioned about the first row of seats going all the way onto the stage—you don’t find that at all theaters. And in the McGuire, we were really able to use that intimacy: there are two aisles and we could move people between the house and the stage easily. We found that kind of zoom-in to be really helpful in achieving what Olive was talking about. Knowing that there are people all around you—it knocks out a degree of passivity. I didn’t seethe piece, so I don’t know its effect on the audience first-hand. But I imagine, and I heard from people who did watch from the audience, that the first sections of the work, in particular, disrupted their expectations. You’re watching the stage and then something is happening in the house where the audience is, and now it’s just on the stage again, but then someone new comes in among the audience. There’s a lot of interruption – of space and of activity – and we learned the ways that we wanted to do that from the context of the McGuire. 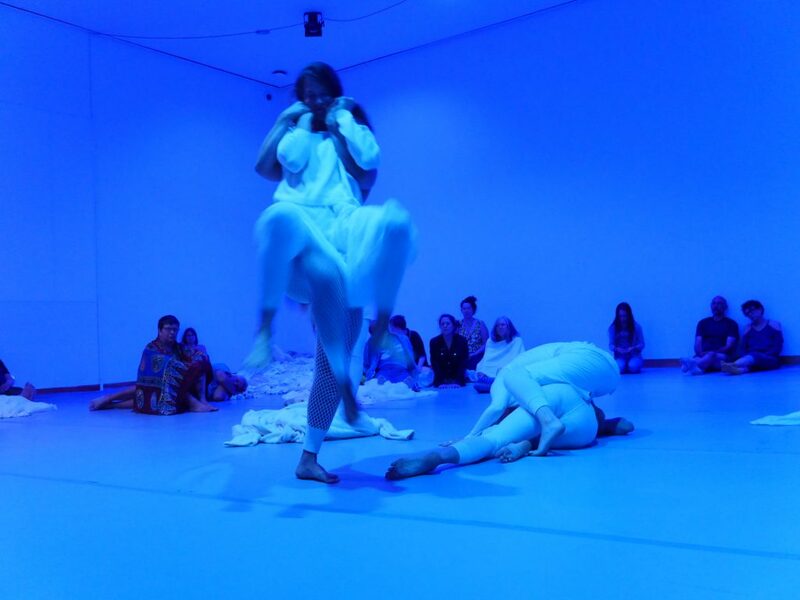 As co-directors of the BodyCartography Project Olive Bieringa (NZ) and Otto Ramstad (USA) investigate empathy and the physicality of space in urban, domestic, wild and social landscapes through dance, performance, video, installation work and movement education. Our works range from intimate solos for the street or stage, to large site based community dance works , short experimental films in the wilderness, to complex works for the stage. 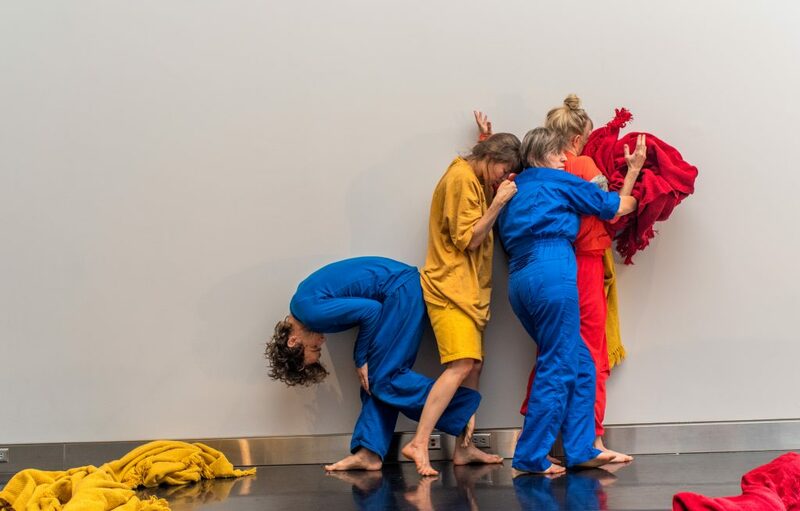 We have created numerous performance works, short films and installations across the USA, Canada, New Zealand, Japan, Europe, Russia and South America and were recently named Dance Company of the Year by the Twin Cities City Pages. Recent works include Super Nature, with composer Zeena Parkins, commissioned by the Walker Art Center, Performance Space 122 and PADL West. 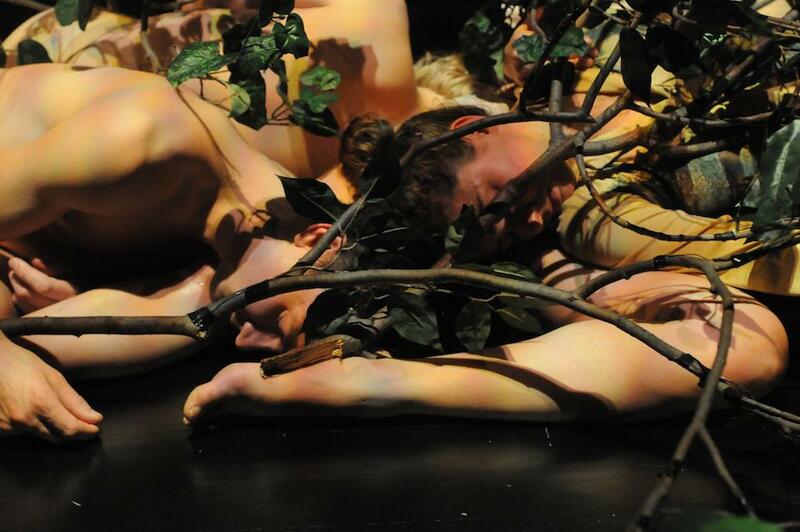 Symptom, with Minnesota twins Emmett and Otto Ramstad andMammal, a commission for the Lyon Opera Ballet. Our triology Holiday House (2005-2007) was commissioned in part by the Walker Art Center, Minneapolis and was the winner of two Minnesota Sage Awards. Our site spectacle Lagoon was the winner of the Perlorous Trust Creativity Award at the New Zealand Fringe Festival in 2003. We are featured artists in the first book about site dance in the USA published by University of Florida Press entitledSite Dance, the Lure of Alternative Spaces.